Feel like Big Brother is watching you at airports? As the world faces increasing security threats, with airports as the main point of concern, the rise of biometric technology at these travel hubs are supposed to make it easier to catch the bad guys as well as make travelling a smoother experience. This system has spread throughout the world, and is already on the cards for South African airports. But some travellers feel uncomfortable with the idea of having their face scanned and stored in some hidden server somewhere, with no idea who can access it. Our modern digital life has made it easier to be tracked anywhere in the world, but for some this sounds like some Orwellian nightmare where privacy doesn't exist. According to a global survey from 2018 - Biometrics Institute Industry Trend Tracker - 60% of respondents believe that privacy and data protection is actually restraining the biometrics market from growing. Thierry Mesnard, vice president for the Africa division of Gemalto - a tech company specialising in digital security - believes that misinformation about the technology in travel is hampering these debates, and there are a few myths around facial recognition that he wants to debunk. Airlines will keep passengers' identities and facial data on-file. 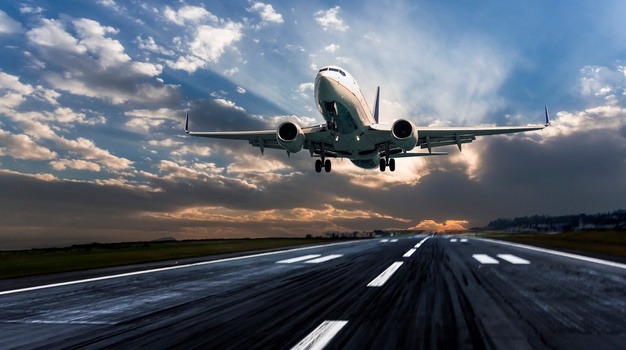 "In this age of increasingly frequent data breaches, airlines don’t want to store any more personally identifiable information (PII) than they absolutely have to, lest they incur additional IT burden, expenses and liability," says Mesnard. Airports will likely take data from your face when you arrive in a country and compare it when you leave, but after that will discard the information. Facial recognition replaces current security measures. Although biometrics make moving through security smoother, it doesn't mean you can get rid of your travel documents like passports - they just may go digital instead. Mesnard does believe that boarding passes will be the ones that will be phased out, as they are more symbolic than holding real security value. "Longstanding airport security like manual inspections of physical identity and travel documents will remain in place for a long time to come." Facial recognition is the precursor to a Big Brother scenario inside airports and beyond. Mesnard wants to make a distinction between the use of the technology for 'identification' and for 'verification'. Verification is a closed loop with no data stored or used for other purposes than matching your face with your passport and what the airline has on record before boarding. Identification, on the other hand, is used in surveillance when law enforcement officials are scanning a crowd to look for someone specific, and this is governed by a variety of laws that differ between countries. "[Verification] is likely to emerge as best practice, and will thus likely be applied when this technology arrives in South Africa," concludes Mesnard. The technology isn't currently reliable enough to be trusted. In the last 20 years technology has advanced faster than any other period in human history - and the same can be said for biometrics software. Facial recognition is already available on smartphones, and you can imagine the software used at airports will be more advanced, having gone through lots of real-world tests before it becomes widely implemented. Mesnard does note however that there are limitations, like the need for good lighting, and that a human expert for now will always be backing up facial recognition. "And there’s an advantage that the technology confers, too. Facial recognition in its current state also isn’t subject to nearly the same conscious or unconscious biases that inherently skew human judgement. In that way, it’s already a step up," adds Mesnard. "If facial recognition and its potential benefits for air travel are going to get a fair shake, we must work from a verifiable, consistent set of facts rather than being distracted by fiction, distortions and conspiracy theories. After all, the purpose of the technology is safer, easier and more convenient travel. And that benefits us all."